For my birthday it is customary for my kids to draw me their best pictures. I love to receive them and they love my reaction to their careful and hard work. I also receive works of art on the iPad and Sophie’s Drawings is among the best for both learning to draw and cute drawn creations. 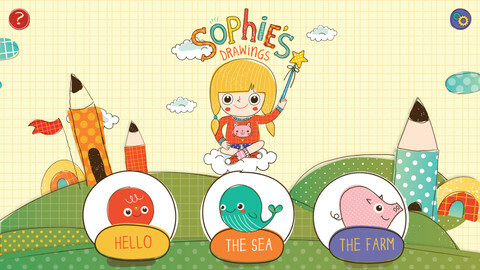 Sophie has a magic pencil where kids can follow step by step and line by line to learn the basics and fundamentals of drawing. It is cute how Sophie sighs when you get it wrong and winks when you get it right. 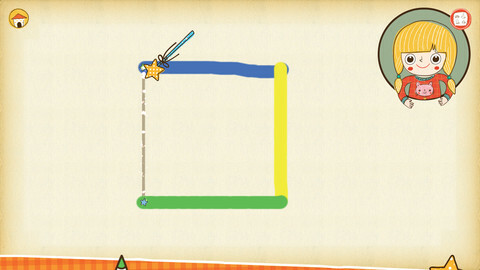 The stars instruct and help the kids navigate from each step to step. You have a toolbox of colored pencils and drawing board in the app that progresses with the child’s skill and delivers cute surprises upon completing each picture! Version 1.2 is the brand new universal version of the app and comes with special pricing today! This app is awesome, my kids would love this!